Expect sunshine and a high of 85° in Cookeville today with a light west northwest wind. Partly cloudy skies overnight with a low of 59° by daybreak. For Wednesday, showers will increase with best chances for rain after lunch and a high of 86°. Rain chances around 30%. Rain and cooler for Thursday, high of just 71° and then sunshine returns on Friday, high 72°. Sunny skies and highs in the middle 70's for Saturday and near 80° on Sunday with lows in the 50's. 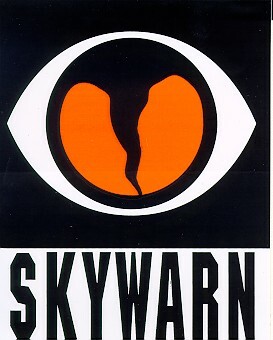 Are you interested in becoming a storm spotter? Training is coming up for this very informative class on Thursday, October 20th at the First Baptist Church in Jamestown, TN. They are located at 306 East Central Avenue. The class is open to the public and is FREE of charge. Please allow 2 hours for the class, which begins at 6 pm.